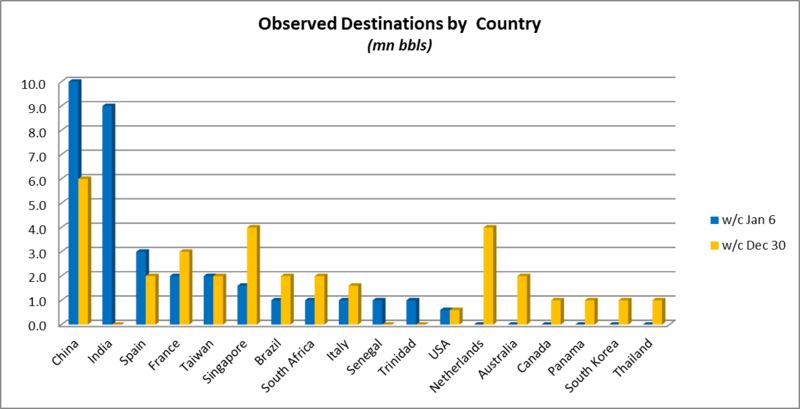 Crude oil from West Africa now flows in shifting patterns to markets in Europe and Asia, as well as the Americas. The changing flows impact these markets, adding pressure to regional prices. For those participating in global crude oil markets, it is essential to monitor this activity to optimize trading decisions, yet it is a time consuming and difficult task to track and analyze so much data. Genscape’s new weekly African Waterborne Crude Report illuminates the flows coming out of West Africa so that traders and analysts can better gauge markets in Asia, Europe or the Americas. It provides traders and analysts with insight and analysis to better forecast short term price shifts by enabling them to anticipate the arrival of crude from West Africa. This weekly report offers new transparency and helps market participants inform market positions, improve decision making, and gain insight on key market drivers. Genscape produces this report by leveraging its VesselTracker data, which boasts the most comprehensive and accurate data feed of global shipping, in order to follow cargoes loading in West Africa to their final destination. By carefully monitoring each vessel using AIS Satellite technology, Genscape is able to accurately estimate true volumes of crude flows to their final destination. Please fill out the form on the right to request a free trial of the African Waterborne Crude Report.